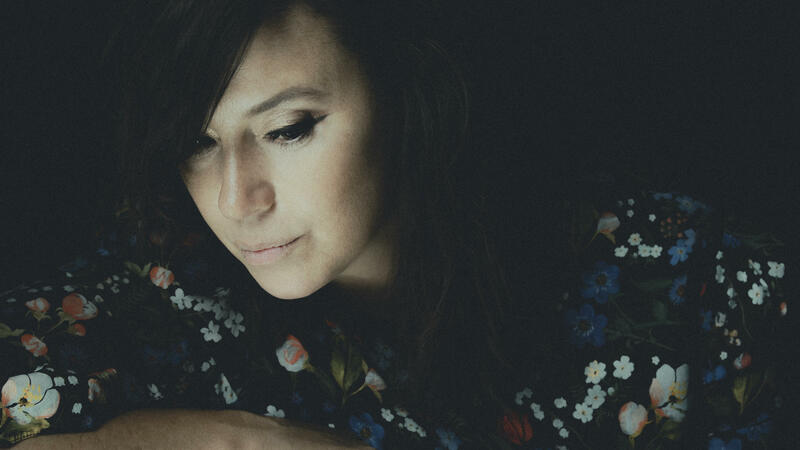 Chan Marshall, who makes music as Cat Power, is a live wire, sparking in fits and starts while creative currents run through her. Sometimes it's staccato and sometimes it's smooth, and you get the sense that sometimes it's in her control and other times maybe it's not. In studio with her band, there were moments when we couldn't tell if Chan was performing a song from her latest record or creating something new — probably because even when she's performing songs that have already been recorded somewhere, she is still creating something new. It was absolutely stunning to witness. Chan was here performing songs from her 2018 album, Wanderer, which almost didn't see the light of day. First, Chan found out she was pregnant in 2014 and considered giving it all up and moving to Australia. Then, when she actually did decide to make another record, it was rejected by her longtime label, Matador, who had been releasing her music since her 1996 breakout album, What Would the Community Think. It took a lot of guts for Chan to pick back up and release it elsewhere. It also took a little encouragement from Lana Del Rey, who sings on the track "Woman." Chan told me about the powerful realization she had after her encounter with Lana, how a profound moment with her young son ended up on the cover of her album and what the "Cat" in Cat Power actually stands for. Listen in the player above.